"News from the Cricut Blog Team by Karley Hall." Hey Doodles Friends! Happy almost Valentine’s Day or rather Galentine's Day! Do you all have some fun plans? If you are not too fond of Valentine's Day and kind of gloss over Valentine’s like it is just any other day then why not use Valentine’s to celebrate your friends! Galentine’s Day is a super popular alternative to celebrating with your significant other. So why not celebrate with the Gals! 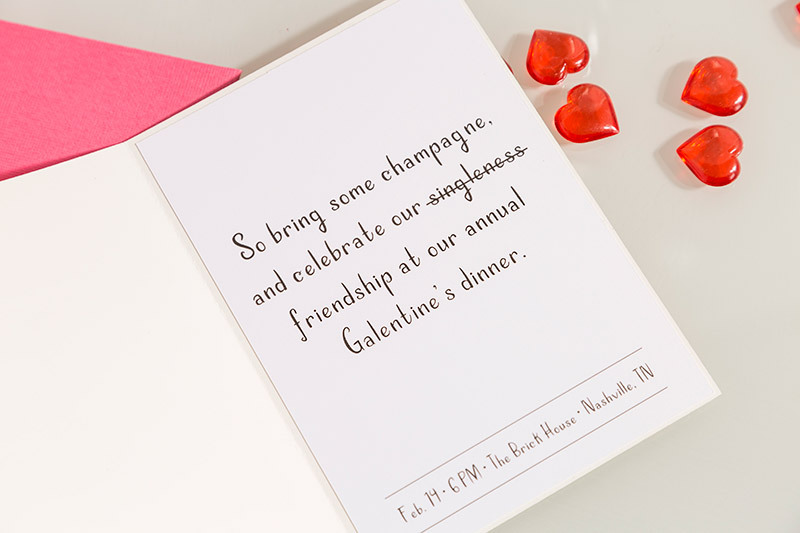 Here is a super easy Galentine’s party invite you can make using the Cricut® Maker. Let’s get started! Double click on the text at the bottom of the invite and edit it as necessary. If you need to edit the main text on the invitation, you can delete the text and use the font “Chloe” to type your own sentiment. If you want to convert multiple layers to print together, you can use the Flatten tool from the Layers panel. Highlight the white background of your invitation and all the text on top of it. You can do this by holding down the shift key and selecting each layer. Or you can hold down the shift key and drag your cursor over all the layers you wish to flatten. Once they are all highlighted, select the Flatten tool located at the bottom of the Layers panel. Note- When your layers are properly selected, they will be highlighted in a darker gray. Once you are satisfied with your invitation, click Make It. This will take you to a preview of your Print then Cut as well as all your other cut previews. If your image was properly flattened, your invitation will appear with an added cut sensor marking (rectangle outline). On the next screen click, select your machine from the drop-down menu. Then click "Send to Printer" to open the Print Then Cut dialog. An image bleed will automatically be applied to the image(s) so that there is no white border left once the cut is complete. Print the page using your home printer, then place the paper on the Cricut cutting mat and feed it to the Cricut machine. The machine will scan for the sensor marking then cut around the image with precision. Note: At this time, the default material size for Print Then Cut is 8 ½ x 11", and cannot be changed. Colored materials or materials containing any kind of pattern may interfere with the cut sensor marks being read by the Cricut Explore machine. We recommend using an Inkjet Printer and 8 ½ x 11" white materials for all your Print Then Cut projects with Cricut Explore. The Cricut Maker, though, can Print Then Cut on light to medium colored papers. After you finish cutting the rest of your layers, assemble using the Ready-to-Make directions. Admire your cute and sassy invitation! 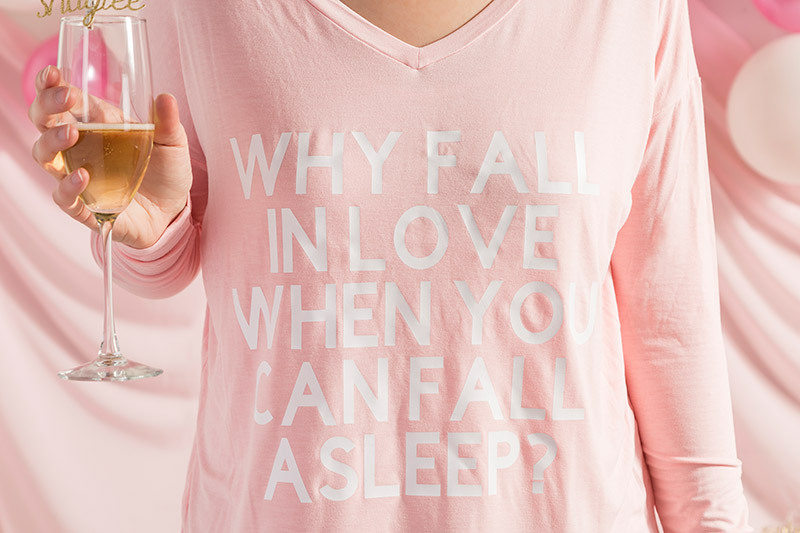 If you need something to wear to your event, head over to this project and whip up this snarky top.